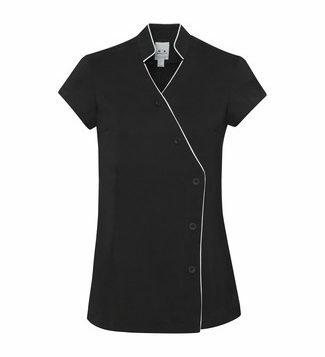 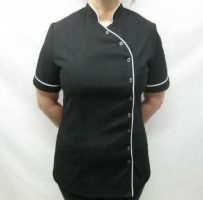 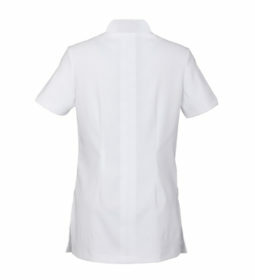 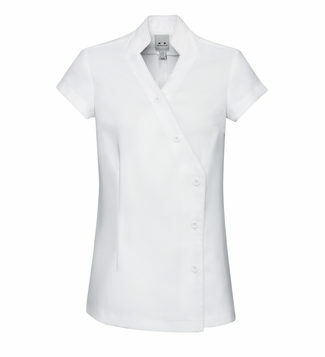 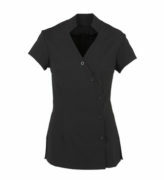 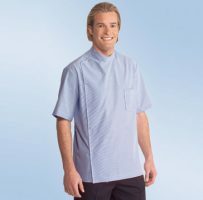 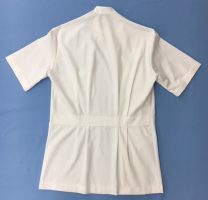 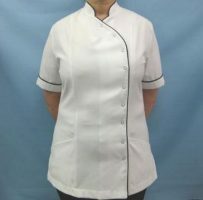 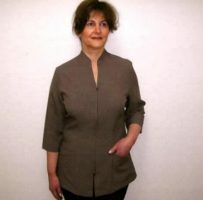 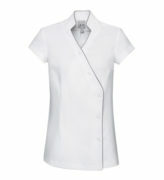 Home/Healthcare Uniforms/Spa Salon Beauty / Dental & Medical Ladies Jackets/H134LS – Ladies Crossover Spa tunic with buttons $58.00 SALE! 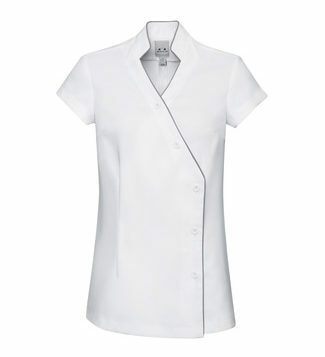 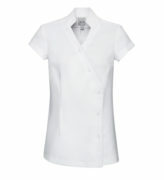 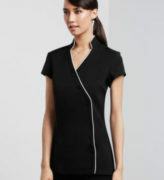 H134LS – Ladies Crossover Spa tunic with buttons $58.00 SALE! Available in Black, White, Black/White trim & White/Silver trim - $58.00 SALE! Unique, satin back 2-way stretch fabric offers superior comfort and keeps you moving freely.